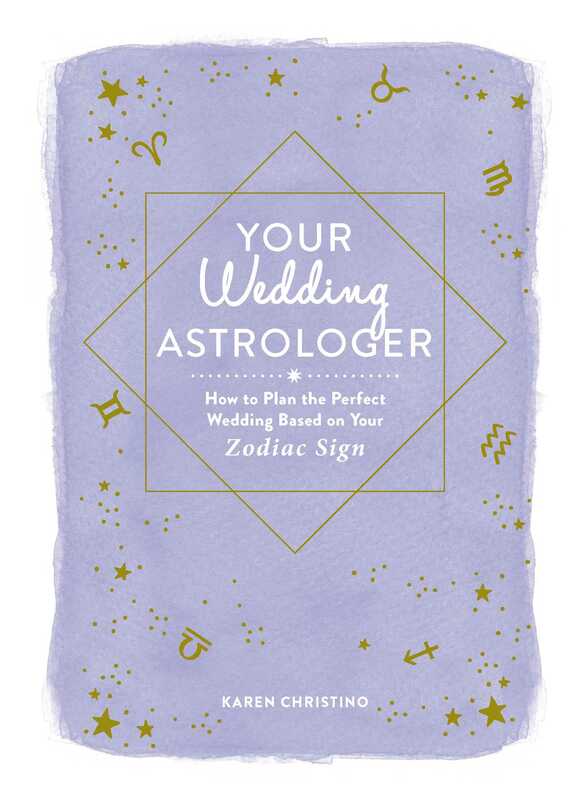 What do you do if your stubborn Leo partner wants a dramatic, extravagant wedding—but you don’t? How do you choose the right date to make sure all the planets are all aligned in your favor? How can a sensitive Cancer avoid getting overwhelmed and stressed by wedding planning? Now, experienced astrologer Karen Christino delivers tailored insight into how to use the stars to your advantage to plan every last detail of your dream wedding. With Your Wedding Astrologer, you’ll be able to make sure the stars align for the wedding of your dreams—and a happy, long-lasting marriage! Karen Christino is a consulting astrologer with more than fifteen years of experience. She has been the astrologer for Modern Bride and Your Prom magazines for seven years. She currently writes the “Stylescopes” column for Life & Style Weekly magazine. Christino has also written horoscope columns for Glamour, Cosmopolitan, Twist, and American Cheerleader magazines as well as features and forecasts for Marie Claire, For the Bride, Seventeen, and Teen People. She wrote the “Choose Your Career” advice column for American Astrology magazine for more than ten years and her work has been featured in numerous astrology journals. She holds a BA from Colgate University, has received top professional accreditation from the National Council for Geocosmic Research, and is a member of the American Society of Journalists and Authors.